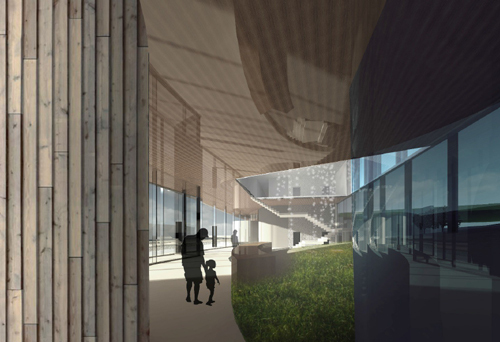 Architectural renderings of the new Anishnawbe Health Toronto and ceremonial grounds. Due to the nature of the project development process, design may be modified. With no funding for capital, in 1989, Anishnawbe Health Toronto established its first permanent home in what was once a branch of a Canadian bank at Queen Street East and Sherbourne Street. As needed programs and services grew, additional sites at two Victorian-era residential buildings at Gerrard Street East and Sherbourne Street, and then Vaughan Road and St. Clair Avenue West were leased. The sites were not built for Health care or Traditional Healing and ceremony but Anishnawbe Health has adapted the sites as much as possible, including opening Toronto’s first sweat lodge facility in a public facility over 17 years ago. Anishnawbe Health ‘made do’ and adapted its buildings, but for clients, travelling between centres for care is an added burden on this vulnerable population and an added barrier to health. Today, these facilities are extremely outdated and overcrowded, and present privacy, confidentiality and infection control risks to clients and staff. These issues make it extremely challenging to meet current standards for ambulatory healthcare facilities and compromise Anishnawbe Health Toronto’s capacity to deliver critical programs and services. Together, we can build a new Home for Anishnawbe Health Toronto. 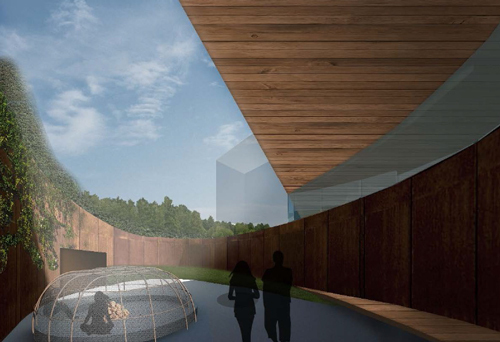 Anishnawbe Health Toronto has purchased, for a nominal fee, 0.7 acres of land in the West Don lands (Block 10) from The Province of Ontario which will be the site of the new Indigenous Health Centre. This prominent site was part of the 2015 PanAm/ParaPanAm Games Athletes’ Village, and is adjacent to the thriving Distillery District, the new Cherry Streetcar line and near the popular Corktown Common. 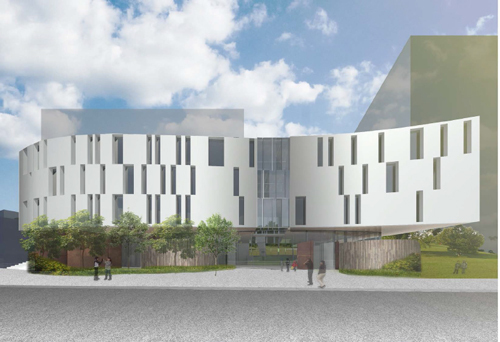 The new Anishnawbe Health Toronto building will be the first project on the site of a new Indigenous Community Hub for the city at this location. Anishnawbe Health Foundation is mounting a campaign to fund the building and to support programs at the new Centre.